Fall Is Duct Cleaning Season: Find Out How to Save 10 Percent Now! Only five to ten years ago, air duct cleaning wasn’t exactly a hot topic even inside the HVAC industry. But today, in the wake of ongoing climate change that is causing wetter and more violent and unpredictable storms year-round, duct cleaning is suddenly experiencing newfound popularity! What is the connection? The answer is simple: mould and mildew. 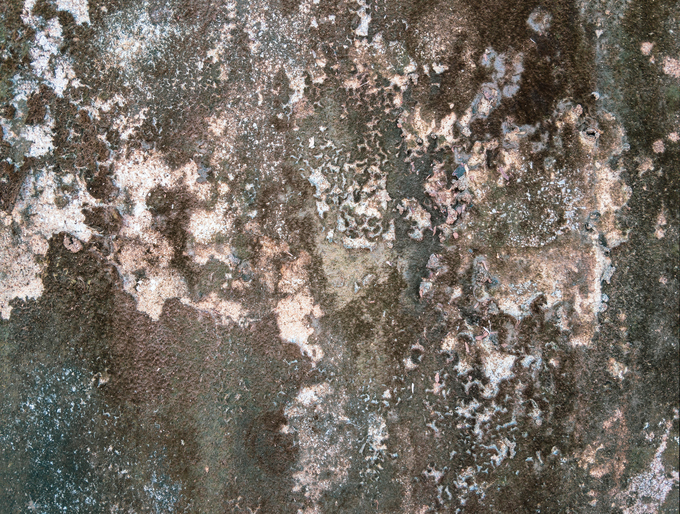 As formerly dry areas become wetter for longer, to the point where the ground becomes saturated with moisture, conditions become ripe for mould and mildew to grow and spread. After severe weather events like hurricanes Harvey and Florence to the south of us and the late summer floods right here in Ontario, residents have experienced an upsurge in respiratory problems, chronic allergies, skin rashes and other mould-related health issues. The same holds true for homes that have been damaged by flooding or other severe weather and then need renovations. Toxic off-gassing from materials and adhesives combined with mildew and mould can cause serious health conditions when homeowners move back in again. What can you do to address these ongoing health hazards? We have two words for you: duct cleaning! P.S. Be sure to read all the way to the end of this post to find out how to save 10 percent on any of our value-added duct cleaning packages! In decades past, it was not uncommon for even brand-new construction to allow for a certain degree of air leakage between the great outdoors and a home’s interior. But as concerns about global warming and air pollution increase, the focus in the construction industry has shifted to prize airtight construction above all else. It is true that today’s cutting-edge construction strategies do help the average homeowner conserve energy usage and cut costs. But on the flip side, airtight construction can quickly cause a buildup of stale air inside the home and moist conditions ripe for mould, mildew and bacteria growth in attics, crawl spaces, basements and air ducts. You can always open a window or door and get some old-school ventilation flowing into your airtight home. But not every day of the year provides optimal conditions for doing this. In fact, for much of the year, extreme summer and winter can make it downright dangerous to open up your home to the elements. To solve the indoor air toxicity caused by airtight construction, you are going to need some extra assistance. The two most effective ways to keep your indoor air clean and fresh are air duct cleaning and ventilation. The U.S. Department of Energy recommends sealing off your air duct system during construction, whether for a new build or for a renovation or remodel. In the event this is not possible, you may wish to have your air ducts professionally cleaned before you move in to remove build-up of construction dust, debris, adhesives, volatile organic compounds, pollen, mildew and other toxins. The same holds true for repairs and renovations prompted by weather or water damage, with the added caveat that sealing up your air duct system is unlikely to stop the growth of mould and mildew caused by moisture exposure. In these cases, you may want to first schedule an indoor air duct cleaning and then retrofit your HVAC system to work with a HEPA air filter or ultraviolet air purification system to keep mould from regaining a foothold inside your ducts. The good news here is that you should only need to have your air ducts professionally cleaned and sanitized once every five to 10 years as long as no additional major construction or repairs are required. Even better news is that many of our clients tell us they can actually smell the difference before and after they have had a professional air duct cleaning—that is how much cleaner their indoor air truly is! For new airtight construction in particular, the only viable year-round method for keeping your indoor air fresh and clean is to install mechanical ventilation in the form of a heat recovery ventilation system. Throughout Ontario, new builds are now required to come equipped with heat recovery ventilators for precisely this reason. A heat recovery ventilator, like a HEPA air filter or an ultraviolet air purifier, can be retrofitted to work with any central (ducted) HVAC system. This means you don’t need to invest in a new air conditioning or furnace system in order to enjoy the health benefits of improved indoor ventilation. All three of our indoor air duct cleaning packages feature the commercial-grade Rotobrush system, which is designed to clean and sanitize every inch of your indoor duct work. In nearly all cases, residential air duct cleaning takes three to five hours and you can enjoy the results immediately. Choose from these three packages and save 10 percent on the package of your choice! We vacuum out your air ducts, clean your air registers and exhaust vents, and sanitize and deodorize your entire system. We do everything in the Bronze package plus cleaning your air conditioning coil and furnace fan compartment. We do everything in the Bronze and Silver packages plus a 21-point furnace inspection and maintenance service. Clean Air Solutions Hamilton is proud to be a Better Business Bureau (BBB)-certified business with an A+ rating! We take customer satisfaction very seriously and will do what it takes to earn your trust and repeat business. Contact us online or give us a call at 905-544-2470 to learn more about duct cleaning and reserve your 10 percent discount!